9.81 metres per second — that's by how much your speed will increase every second if you decide to jump off a tall building. And it doesn't matter if you are a mouse or an elephant. As long as the air resistance is tiny compared to weight, the Earth's gravity will accelerate both by the same amount. Galileo Galilei allegedly demonstrated this fact by dropping two balls of different masses from the Tower of Pisa. In 1971 Commander David Scott confirmed that gravity has the same effect on everything by dropping a hammer and a feather during an Apollo 15 Moon Walk. Because there is no air at all on the Moon both hit the ground at the same time. So it seems that 9.81 m/s2, a number that is often referred to as g ("little g"), is a good candidate for a constant of nature — a number that remains the same everywhere, for everyone and for all time. It's a physical analogue to mathematical constants such as e or π and it tells us a lot about the nature of the world we live in. Except that it doesn't. If you measured the acceleration due to the Earth's gravity on the International Space Station floating 400 km above the surface of the Earth, you would get only 8.69 m/s2. And had Commander Scott actually measured his objects' acceleration, rather than just dropping them, it would have come out at around 1.62 m/s2. That's because Commander Scott was on the Moon and g only works on or near the surface of the Earth. So it's not that universal after all. 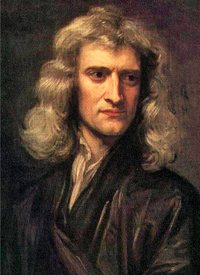 What Newton’s formula tells us is that the acceleration due to gravity depends both on the mass of the object that’s exerting the pull and the distance at which you are from the centre of that mass. The value of comes from substituting the mass of the Earth ( kg) for and its radius ( m) for in the formula of above, reflecting the fact that you are assuming to be on or near the surface of the Earth. The Moon with its smaller mass and radius ( kg and m) gives a smaller acceleration. And you don’t even have to go as far out as the International Space Station to detect tiny changes in the acceleration due to the Earth’s gravity that are down to how far away you are from its surface. The difference between and illustrates an important lesson: what appears constant at first may actually turn out to be variable once you expand your worldview. If you lived in a perfect world you might think that train arrival times are universal constants, but if you live in the UK you definitely know that they aren’t. So what, then, are the true constants of nature? Written in ordinary decimal notation this gives a number with a zero before the decimal point and 33 zeroes after it. One feature that these constants have in common is that they have units. The mass of an electron is measured in grams, the speed of light in metres per second, and the gravitational and Planck's constant using a combination of familiar units like kilograms, metres and seconds. This poses a problem when you are asking whether those supposed constants might be changing. For example, if everything in the Universe is getting longer, then the ruler with which you measure things is also expanding, so you won't notice the lengthening by looking at your ruler. Any constant measured with respect to the ruler may appear to remain the same even though it is changing. A similar combination of numbers gives the fine structure constant, which describes the strength of the electromagnetic force and is roughly equal to 1/137. Because of its importance many physicists have a particular weakness for the number 137. Some say that Wolfgang Pauli, who contributed much to the development of quantum mechanics, intentionally chose the hospital room that was to be his last to have that number. There is also a dimensionless number describing the strong nuclear force, which holds together the nuclei of atoms. Those dimensionless numbers, independent of any measurement units, are what really describe the world we live in. 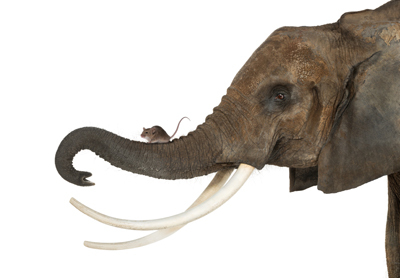 True constants are the same whether you're a mouse or an elephant. But how can we be sure that these constants don't change over time and space? Perhaps the known forces of nature, gravity, electromagnetism, and so on, were stronger or weaker in the distant past, or change their value in the furthest reaches of the Universe? One way of finding out is to observe the constants over time and at different places in the Universe. In 1999 John D. Barrow (author of the book The constants of nature), John Webb and Victor Flambaum (together with a team of physicists), decided to test the constancy of the fine structure constant in this way. The team observed light that has arrived on Earth from nuclei of distant galaxies known as quasars. Quasars are particularly bright and so are visible very, very far away. The light that reaches us from quasars has spent a very long time getting here, so quasars give us a glimpse of the laws governing the interaction of light and matter in the distant past — many billions of years ago. By analysing the light from quasars Barrow and Webb and their collaborators were able to estimate the value the fine structure constant had back then. To their surprise they found a tiny increase over time. The fine structure constant seemed to have changed by about six parts in a million over 13 billion years. That's a very small change, but it was still statistically significant. Since then Barrow, Webb and others have been evaluating more data and checking to see whether any systematic error in their experiments is responsible for mimicking this surprising result. So far the possibility that the fine structure constant really is changing has not been ruled out. In 2010 Webb and his colleagues then found new evidence that it might be varying, not just over time, but over space too. To see whether these changes are really happening we will have to wait: Barrow, Webb and other scientists have recently proposed a new way of testing the constancy of the fine structure constant, this time using Hubble Space Telescope observations of dense stellar remnants known as white dwarves. If the supposed constants of nature really are changing, then physics will have to be re-written. 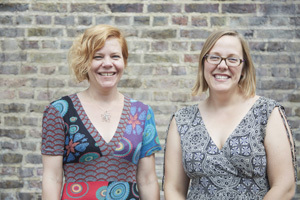 Rachel Thomas and Marianne Freiberger are the editors of Plus. This article nearly made it into their new book Numericon: A journey through the hidden lives of numbers.